I remember when USC beat Arkansas 70 to 17 back in 2005. The score was 49 to 7 in the first half and USC could have made it 100 to 7 if they wanted to but they put in their subs in the 3rd quarter. However, Wally Hall said they ran up the score because they threw a pass in the 4th quarter. At the time I said that what Arkansas needed to do was build a championship team and take care of USC on the field. Complaining about the other team scoring does no good. It seemed to me that the same thing happened yesterday between Petrino and Miles. A little story about that game in LA between USC and Arkansas. My friend Sherwood Haisty had recently moved out there and he got a ticket to the game. After USC scored on the opening drive, Arkansas was able to tie the score 7 to 7 and my friend called me from the stadium. We rejoiced together that Arkansas was rising to the occasion. However, needless the say, that was the last time we visited on the phone that night. I am disappointed that we lost but we should not be unrealistic. I personally was pleased that in Houston Nutt’s 10 years that we actually were SEC West Champs three times. In November in 1998 and 2006 we were still in the national championship conversation. Last year we were leading #1 Alabama in the 4th quarter and the same could be said about our game with eventual national champ Auburn. This year we played ourselves into position to possibly win the national title by the time we had finished the first 11 games this year. I am very proud of our razorbacks. Arkansas coach Bobby Petrino is not a happy camper. After watching his team jump out to a 14-0 lead over top-ranked LSU, the Razorbacks watched as the Tigers ran away with a 41-17 win. With a BCS bid clearly on his mind, LSU coach Les Miles continued put the foot on the gas and scored 17 points in the fourth quarter to put away Arkansas. Petrino didn’t quite see it that way and made his point know several times during the game. So much so, that CBS announcers Gary Danielson and Verne Lundquist both pointed it out during the broadcast. At one point, Petrino pointed to Miles across the field and voiced his displeasure with what I am sure he thought was running up the score. The postgame handshake between Miles and Petrino was short and sweet to say the least. Picture below from Arkansas Times Blog. Judaism, Christianity, or that relative Johnny-come-lately – Islam – are all exactly alike despite their man-behind-the-curtain smoke-and-mirrors fright shows of Truth and Superiority to the others. By the same token, in their zeal to enforce an atheistic communism, “Mao Tse-tung and Pol Pot caused the extermination of tens of millions of people,” Zacharias said. If it walks like a duck . . . .
Francis Schaeffer in the episode “The Revolutionary Age” in his film series “How should we then live?” which is available on youtube, made the point that Communism is atheistic and has NEVER EXISTED WITHOUT BRINGING REPRESSION. A few months ago a young person said to me, “I think that Marx was misunderstood and that true communism has not been really tried yet.” I responded that there are a hand full of Communist countries today and they all have several similar conditions: NO FREEDOM OF PRESS, NO POLITICAL FREEDOM, NO FREEDOM OF RELIGION AND NO ECONOMIC FREEDOM. I noted that Schaeffer has rightly said that Communism is basically based on materialism and a result it must fail. It does not have a Reformation base. 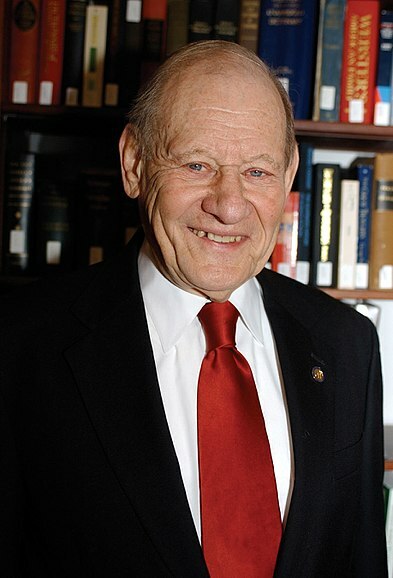 I have corresponded on several occasions with the humanist Paul Kurtz. I must say that he is one of the finest gentlemen on the face of the earth. I have had dinner with several other secular humanist who have signed the Humanist Manifesto II and had very civil discussions with them. None of them ever suggested that the Communists were not atheistic. They just simply thought that these particular men murdered to suit their own purposes but were not following logic which would have led them to treat others with respect. However, this idea that humanists and atheists can come up with a logical moral system that rules out murder is not realistic. Rationally they can not do it. Without God in the picture then you only have this world of time and chance. If evolution teaches us the survival of the fittest then why would “might makes right” ever be wrong? The movie maker and atheist Woody Allen knows this best. I am a big Woody Allen movie fan and no other movie better demonstrates man’s need for God more than Allen’s 1989 film Crimes and Misdemeanors. This film also brought up the view that Hitler believed that “might made right.” How can an atheist argue against that? Basically Woody Allen is attacking the weaknesses in his own agnostic point of view!! Take a look at the video clip below when he says in the absence of God, man has to do the right thing. What chance is there that will happen? Crimes and Misdemeanors is about a eye doctor who hires a killer to murder his mistress because she continually threatens to blow the whistle on his past questionable, probably illegal, business activities. Afterward he is haunted by guilt. His Jewish father had taught him that God sees all and will surely punish the evildoer. “Come on Sol, open your eyes. Six million Jews burned to death by the Nazi’s, and they got away with it because might makes right,” says Aunt May. Below is a study by Francis Schaeffer that makes the point that the French Revolution and the Communist Revolution in Russia should be compared. Actually if you look closely at history then the case can be made that both the Russian Revolution and the French Revolution are closely related.